This is not an affiliated post. My opinions are my own. Spring time is such a beautiful time of year, so why not look beautiful too?! 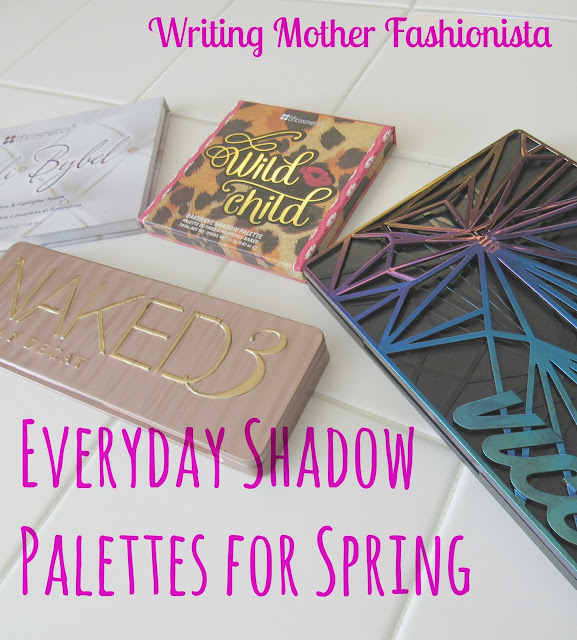 Today I am sharing my favorite eyeshadow palettes for Spring that can be used on a daily basis without looking super made up or dramatic. I love love love this palette! The colors are dramatic yet neutral. I can find so many ways to wear this palette and I guarantee if you like to play with eyeshadow you will love it too. This palette is limited edition and is sold out in many places already so if you like it, don't think twice on buying it! Regular price is $60, but currently on sale (wherever it is still sold) for only $39! Below I swatched (from left to right) Bones, Robbery, and Pandemonium. This is a basic look I can use on a regular day of running errands and not feel like I'm all made up, yet still feel pretty! This is the perfect palette for Spring with all the rosey hues. However, don't let that be the reason you shy away from it. I have had this palette since it came out and I can honestly say I find ways to use it all year long. I love how neutral it is where you can look like you are just naturally glowing, but if you use the very pigmented hues it can look dramatic! From left to right Liar, Factory, Mugshot. Those are probably the colors I use the most on a day to day kind of basis. This is my go to palette for a natural glowing look. With Urban Decay I feel like you get what you pay for. The color lasts all day and the palette will also last you a good time span if you take care of it. You've seen me rave about Bh Cosmetics before and I will probably forever rave about them. The Wild Child Baked Eye Shadow Palette is seriously so so beautiful I can just stare at it for a while and a smile comes to my face. Haha, don't judge me, makeup makes me happy! The hues are so pigmented and pretty that you will want to wear it every day. I get so many compliments on my shadow when I wear this palette. A few weeks after I got it I dropped it from my hands onto the tile floor and it cracked. I was so hurt, but luckily they can still be used. As you can see the shades are very bright and shiny, perfect for spring. These don't come with shade names, but I swatched (from left to right) the top left hand corner, the one below it and the copper looking tone on the same row. Although I normally add some sort of purple hue, if you want to go with something neutral these are the best shades to go with. This is really a must try palette for the price. I am crazy about it! This is a 2 in 1 palette with eyeshadow and highlighter hues. I am so thrown back by the shades in this palette, they are just darling. Again I dropped this one too and cracked it! This one I don't think I can salvage, but I can't bring myself to dump that highlighter, its just so darn pretty. Anyway, this one has 3 matte shades and the rest are all pretty pigmented. Very beautiful neutrals for spring, yet shiny enough to spruce up for special occasions. Not to mention the bonus of those beautiful highlighter hues. Since this palette doesn't have names to the hues either I marked the ones I swatched in the picture above. The first color is a great brow bone hue. The middle is one of the matte hues and third is a very pretty copper hue. I actually love using that shade as a crease color if I use one of the rosier hues, but still very neutral. I hope this post helped you decide on what everyday palettes you want to try this spring. I know there is so much new makeup out there right now, but I like to stick to stuff that has been out a few months, just incase the new stuff gets marked down later! Why pay full price when you can get a great deal if you just wait a little while? I'd love to know what your favorite spring palette is in the comments below. Thanks for reading! These are all beautiful but the Urban Decay one scares me a little bit. The colors are gorgeous and you look like you've mastered how to wear them beautifully but i'm afraid of myself with that. I think i'd look like a clown. The other three are definitely ones I could use though! Wish list!!! These are all really great! Thanks so much for sharing! I really love the Urban Decay Naked3 color palette! Those are absolutely my colors. The first one is very colourful - I don't think I could pull them off, but I love the way you combined them. 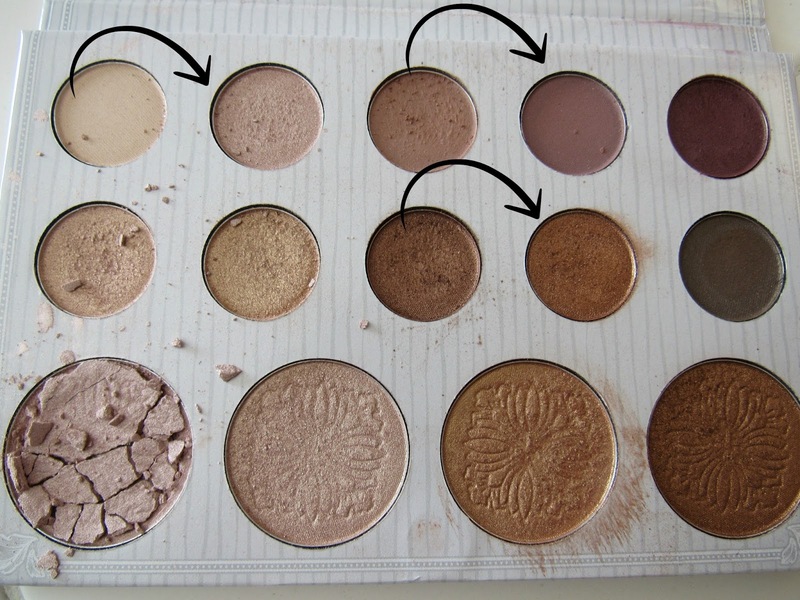 I really want a Naked palate!!!! I'm really feeling that Carli Bybel palette! I just checked and the price is super reasonable, too! I just love makeup posts. Those are all really great picks for Spring, I love the vice palette, it's definitely one of my favourites! Thanks for sharing all these make-up palettes! I totally need to get them tomorrow lol!